This guide is designed to help evaluators plan for the successful implementation of the new evaluation system. Evaluation will be more intensive than in years past, and will require careful planning to ensure that evaluators and educators make time for all the necessary steps. The time invested in this process will allow school teams to focus on developing a common understanding of teaching and learning, and work more effectively toward the achievement of both school-wide and individual goals. Below, you'll find a guide for writing formative assessments, along with sentence starters for writing rationales. Below, please find two example formative assessments for educators on self-directed growth plans. 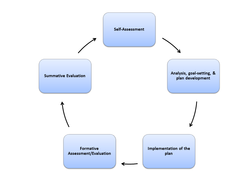 These documents demonstrate an appropriate range of detail for formative assessments describing proficient or exemplary practice. Evaluator training will be held at the BTU Pilot School (25 Walk Hill St, Jamaica Plain, MA). The training will consist of three sessions held on the evenings of Tuesday 1/22, Wednesday 1/23, and Thursday 1/24 from 4-7 pm. Prior to the summative evaluation, educators are encouraged to collect 3-4 artifacts per standard and goal in order to demonstrate proficiency in these areas. One artifact may work for multiple standards and goals. Setting team goals promotes alignment and collaboration while easing the evaluator’s burden of assessing and supporting a high volume of individual educators’ goals. Before teachers self-assess and set goals, you and your administrative team should be clear about your school-wide goals and priorities for the year based on student data, district priority areas, and the Effective Teaching rubric. The attached documents are designed to guide school leaders through these early stages of the evaluation process. We suggest that you work through these first three worksheets below as an administrative team before you guide your teachers in the self-assessment and goal-setting process. 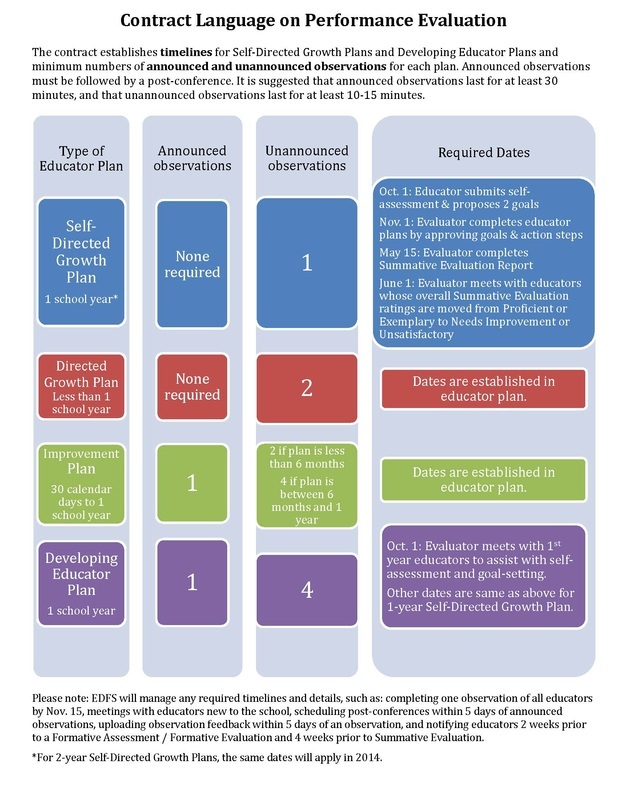 This spreadsheet illustrates the time commitments associated with the different stages of the evaluation cycle. You can enter the number of people you will be evaluating and it will show you how many hours to budget for evaluation each month of the school year. This compliation of best practices for evaluation features ideas and suggestions from school leaders at Turnaround Schools based on their experiences with the evaluation system throughout the 2011-2012 school year.